From the snowy north to the sunny south, across Europe it is a breath-taking beautiful landscape, buzzing cities and vibrant cultures is a welcoming place for students from all around the world. Europe is also a great place to live. European countries invest in their higher education systems to help make education affordable for students, whilst maintaining high quality standards. Across Europe, tuition fees and living costs compare very well to other study destinations. There are lots of scholarships options available too. The beauty of Europe is that it offers so much choice. With world-class universities, higher education institutions and research institutes, offering Bachelor's Degree, Master's Degree and PhD/Doctoral programmes, short study periods. Most countries across Europe offer study programmes in English too. You'll also find programmes taught in other languages such as Spanish, French, German, Italian, and more. 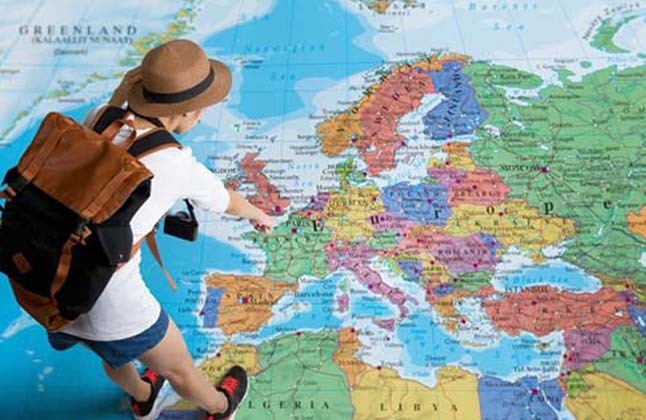 Studying in Europe is not just about lectures and libraries, it is also a once-in- a-lifetime chance to discover new countries. It's an ancient establishment for the education system. UK qualifications are recognised all over the globe. It is the most reputed and respectful foundation of the world. Its programme for all skills is successful in the world economy. - Affordable Tuition Fees and Accommodation. - Vast Choice for Institutions, Academics and Subjects. It has a long tradition of providing quality education. With dynamic and modern qualities, it is also known to the fastest growing economics of the world. Ireland has topped the list of most Friendly country in the world, during a survey conducted on it. - Modern lively and a safe environment. - Leading Global Companies Headquarters. - Internationally Recognised education system. - Close end relationship between education and economy. It is known to the land of education, science and ideas. Germany is one of the highly developed nations of the world. Germany is one of the most preferred countries of the International Students because of its free borders and of the globalized market. One of the leading providers of international education. France is the fifth largest economy and the second largest provider of service. France enjoys a multicultural heritage and diverse environment as well. It is a hub of multinational companies. Studying in Italy has a unique blend of Italian cultural studies and courses in a variety of majors from business and fine arts. With its amazing food and language, beautiful art, and dynamic history, Italy is the most soughed destination for aspiring study abroad students. - The country is very diverse, ranging from thriving cultural cities such as Rome, Milan etc. - Surrounded by the natural beauty of vineyards, mountains and stunning coastlines. - Accommodation and living costs in Italy are relatively high compared but are still much cheaper than most places in the UK. - Universities are free to set their own tuition fees, but they generally they charge similar fees. Study abroad in Spain you can enjoy the sun, soak up the culture and use it as a gateway to see Europe on a budget. Spain flaunts with festivals, siestas, and flamenco dancers. And a lot more as well such as there are also great hikes all over the country, fabulous beaches each year thousands of students journey to Spain and to take classes in international courses and business and more. - Affordable living costs, if opted for country living. - Is in the heart of Europe. - Sizable study and research cost. - Courses are available in English as well. Sweden is a diverse, friendly and fair nation, which has been considered one of the most advanced countries in the world for gender equality and wealth. It's also known for its high quality of life as well as good safety and cleanliness. Sweden is the highest- ranked Nordic entry in the QS Higher Education System Strength Rankings, coming at 14th place. Swedish universities are among the most respected in Europe, with eight featuring in the QS World Universities Ranking. "Edwise went out of their way to help me prepare for my applications even though my course was a unique and a specialized one. They ensured that I met all my deadlines. They over prepare you for the Visa interview which I really appreciated. M whole heartedly Thankful to Edwise for its good work."